The Justice Department has found no evidence that New Jersey Gov. Chris Christie knew in advance of traffic lane closures on the George Washington Bridge, the New York Daily News reports. 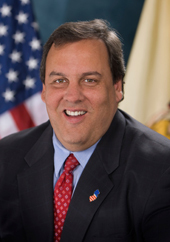 The investigation is nine-months old, and no evidence has surfaced to suggest Christie was involved in what has brome known as the Bridgegate scandal. The lane shutdowns caused serious problems for commuters. It was later discovered that Christie’s staffer and a Port Authority officials were elated, raising questions about whether the shutdown was political payback for the Democratic mayor of Fort Lee not endorsing Christie. Posted: 9/19/14 at 9:02 AM under News Story.